Well here we go… ’tis the season for everything PUMPKIN. 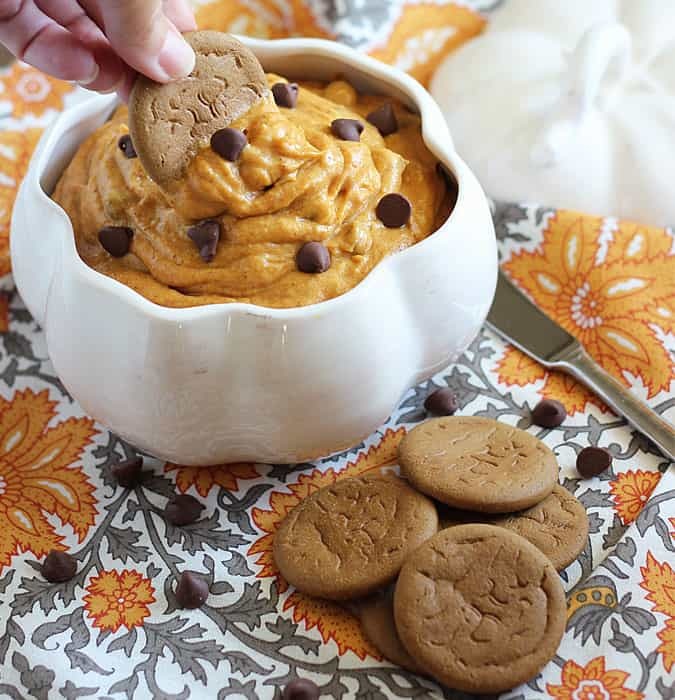 Today I’m so angry at myself for never indulging in this Chocolate Chip Pumpkin Dip until now! Why I’ve never made this until now I’ll never know. I mean, it’s soooo easy to make and delicious. And I’ve always got canned pumpkin in the pantry because I use it in Chance’s homemade dog food that I make for him. What’s my excuse? 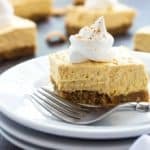 I could have taken this easy pumpkin dessert (or appetizer) to a zillion fall events over the years… birthday parties, baby showers, football games. What in the heck was I thinking? Better late than never, I guess. 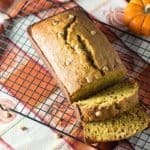 I ate it with gingersnap cookies, but it’d be awesome with apple slices or graham crackers too. 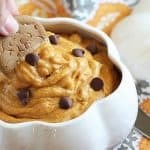 Next time you’re in the mood for a pumpkin treat or in a crunch to make a quick dish for a fall party, you’ve gotta give this easy Chocolate Chip Pumpkin Dip a try! Place cream cheese and confectioners’ sugar in a large mixing bowl. Beat for about 1-1/2 to 2 minutes, or until well blended. 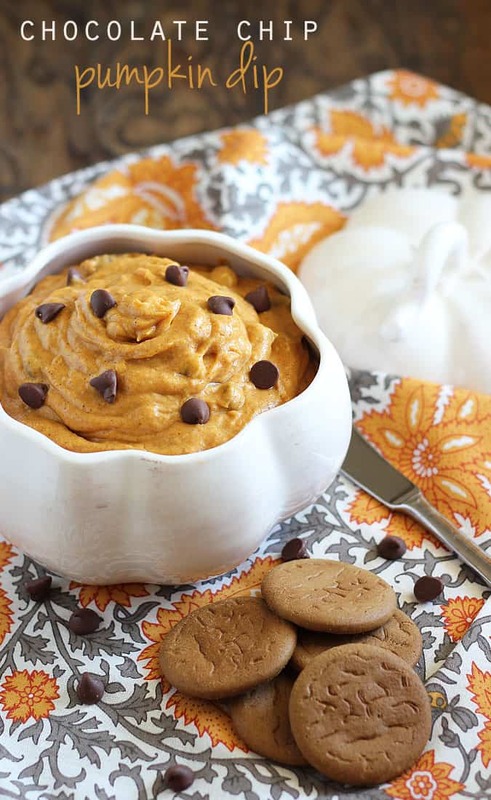 Slowly add pumpkin puree, pumpkin pie spice and vanilla extract. Continue to beat until well combined. 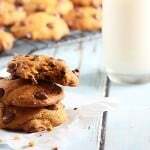 Fold in chocolate chips and stir gently to combine. 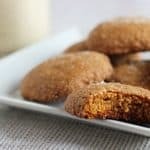 Serve with gingersnap cookies, apple slices or graham crackers. 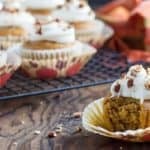 Cover and refrigerate any leftovers. 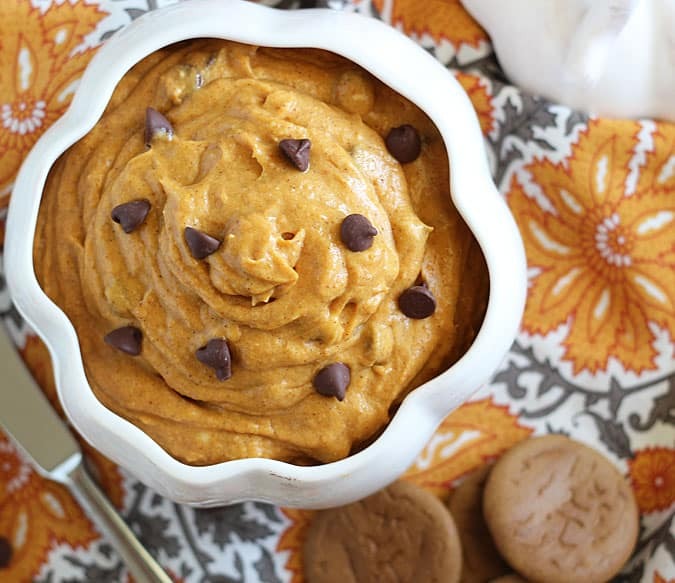 Totally obsessed with how delicious this pumpkin and choc chip dip is! 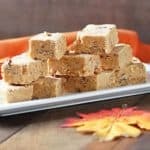 Definitely need to recreate the recipe, it’s the perfect fall sweet snack! Thanks so much, Thalia! It has been addicting to say the least! This looks and sounds delish! I can’t wait to make it! Thank you so much, Jojo! Hope you enjoy it. This is so festive! Perfect party food!